This past year, I’ve reviewed only three books. There are a couple of reasons for that. The primary reason is that I’ve been reading a lot more news these days. Current events (and my often visceral reaction to them) have been consuming a great deal of my available attention. A secondary reason is that another main chunk of my reading time has been devoted to research—online and offline—for my work-in-progress, and while some of these research works are very good, they’re not titles that most (or any) of you would find interesting. 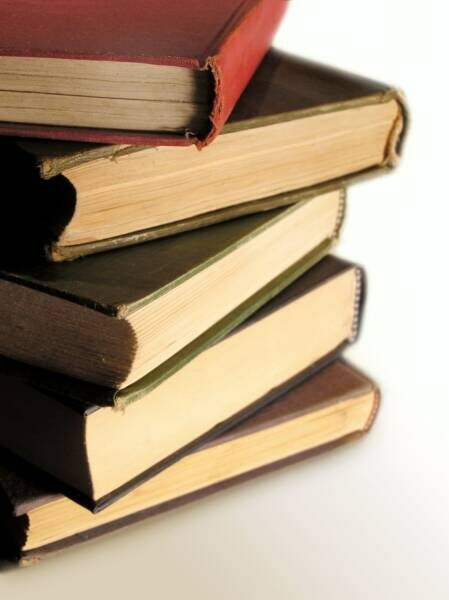 Through this, however, I felt the lack of fiction, not only as a needed escape from the real world, but also as part of my education and development as a writer. With this in mind, last month I decided to devote time to fiction (the first of which resulted in this), and I’ve been continuing that trend by reading Raymond Chandler’s first novel, The Big Sleep. Attention, biblio-nauts! I’m kicking off a promotion for one of my recent novels. 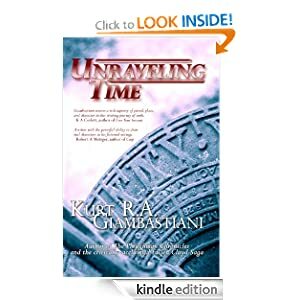 Starting tomorrow (Friday, April 5), you can get a free copy of Unraveling Time for your Kindle-reader. No gimmicks. No strings. From April 5 through April 9, this book is entirely free. Go, get it, and keep it forever. It is literally yours for the taking! Still not sure? Read an excerpt of the book right here on this blog! What can you lose (except a weekend spent with a good book)? I spent many hours over the past couple of days struggling with the files for FC Books II-V. I took my own advice (see above) and carefully and deliberately went through each reformation step, file by file. Then I uploaded the reformatted files and downloaded the KDP-converted files (in MOBI format) Then I previewed each MOBI file, using the Kindle Previewer, taking care to preview each file in each of the possible devices, from Kindle DX to iPad. What I found was that while everything was fine on Kindle hardware, something was throwing off all the formatting when the MOBI file was ported to the iOS hardware. On iPads and iPhones, all my careful font styles were dropped and the whole shebang popped up in Courier New monospaced font. Ick. Luckily, I had one file that was working on iOS (FC:I) so it was just a matter of comparing that file to the other files and trying to find the one thing that was causing the KDP conversion software to have a hissy-fit. I don’t know exactly what it was or exactly why, and I won’t bore you with details too tedious to be suffered. Suffice it to say that I was able to create files that work on all devices. However, I still have not released FC:II-V into the e-book wild. I’m taking even more time, and will upload them all to my Kindle account, so I can see them on a Kindle, an iPad, and an iPhone for myself. But it brings home my admonitions: Take Your Time and always Check Your Work. 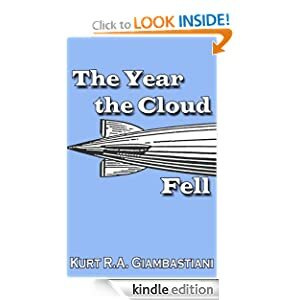 As promised, I’ve begun to release the Fallen Cloud Saga in e-book format. And, just as I decided on CreateSpace to be my “publisher,” I’ve decided on the Kindle for my e-book format. The reasons are basically the same as before: ease of use, platform reach of the product, and essential friendliness of the agreement. Amazon’s Kindle Direct Publishing (KDP) website is easy and reliable. But I just can’t take my print-ready files and use them to build an e-book. Well, okay, I can, but I shouldn’t. Print-ready files are just that: print-ready, not e-book ready. 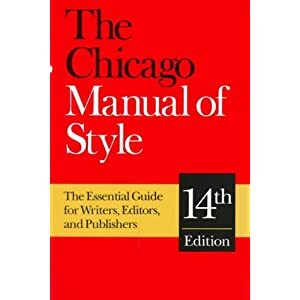 To work best, e-books need to be reformatted; not much, just a little more here, a little less there, but they need it and it’s important to the reading experience. Fortunately for those of us who are heading into the world of self-publishing, Amazon has given us a primer. When I decided to publish the new FC books myself, I rather knew what I was getting into. Publishers, for all their flaws, do provide a lot for the writer. I’ve seen it, experienced it, and though I bitched about a lot of it at the time, I surely do miss it now. Cover art is here! I’ve also decided that I won’t be going with a hardback version of these books; production costs are too high and the demand is too low. We’ll be putting these out in trade paper and in e-book formats.